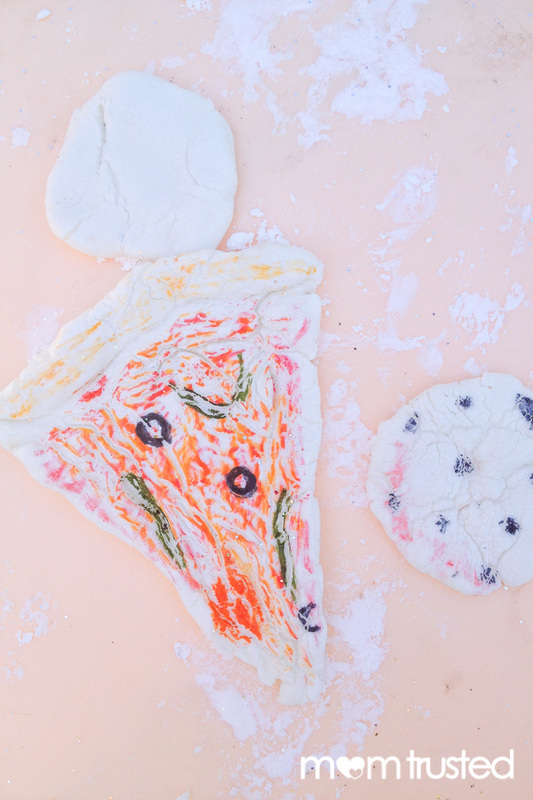 We made this play pizza and cookies with our easy diy modeling clay. This is a fun way to teach children about shapes and give them another tool for their imaginative play. Help your child form the clay into shapes. 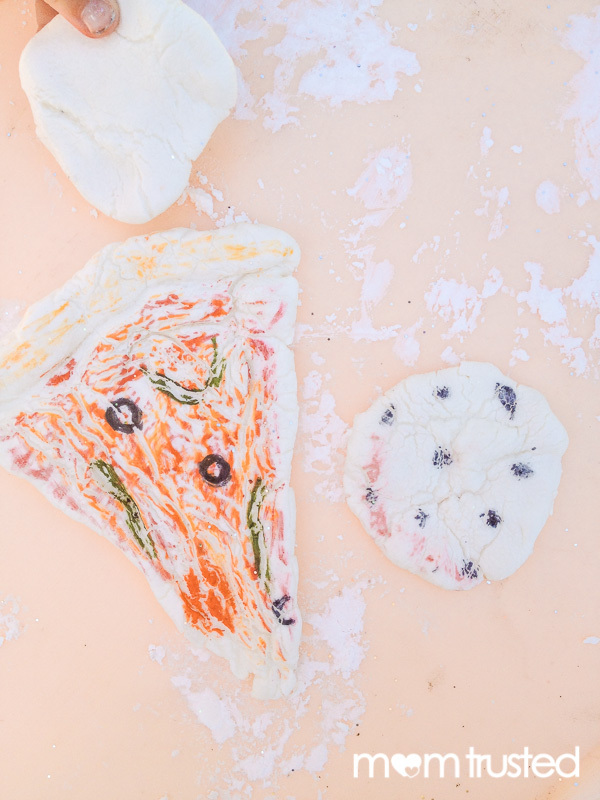 You’ll need a big triangle for the pizza slice and smaller circles for the cookies. 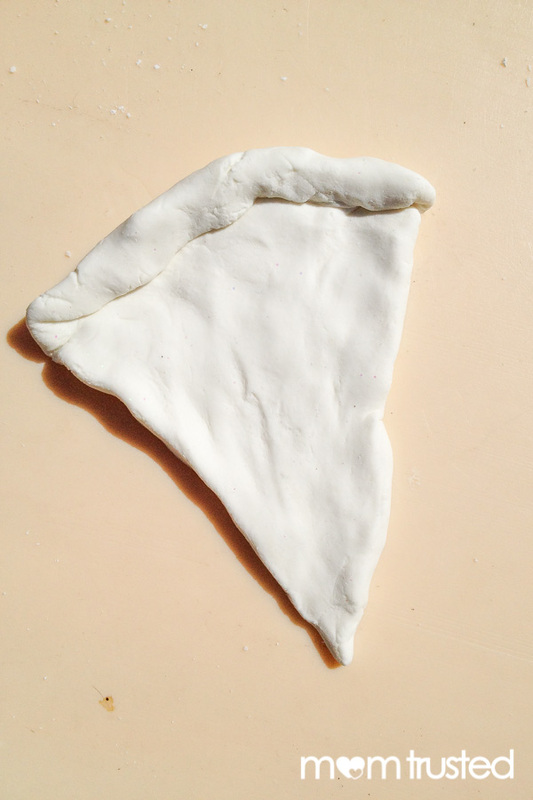 If you want, fold over the short edge of the triangle to make the pizza ‘crust’. Let your shapes at least partially dry before you try to decorate them. 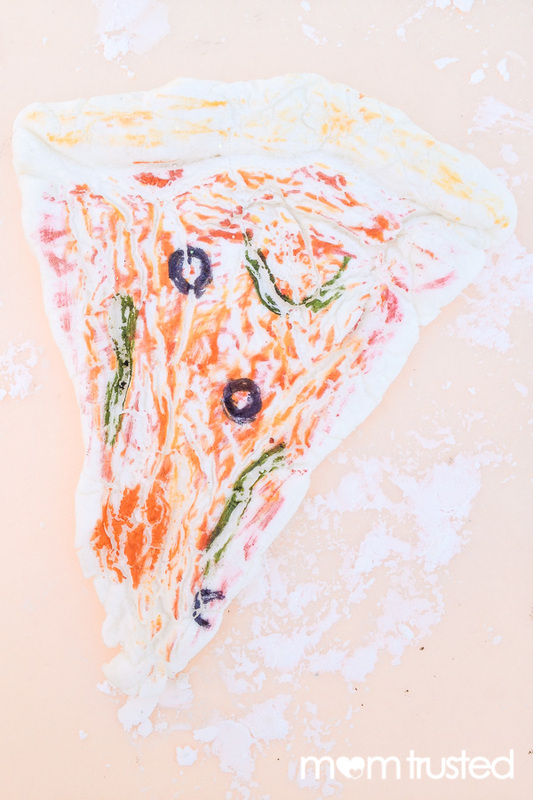 When you can draw on them without messing up the surface (we were impatient with the pizza) use markers to add your favorite pizza toppings and decorate the cookies. Let your ‘food’ dry completely overnight before playing with it.